Labour Market Regulatory Authority (LMRA)’s CEO Ausamah Abdullah Al Absi the Chairman of the National Committee to Combat Trafficking in Persons has received Ambassador of Thailand to Bahrain, Chayapan Bamrungphong. Al Absi praised the ambassador’s efforts throughout his term citing the Royal Thai Embassy’s cooperation with the LMRA on boosting the workers’ awareness, wishing the outgoing ambassador success. 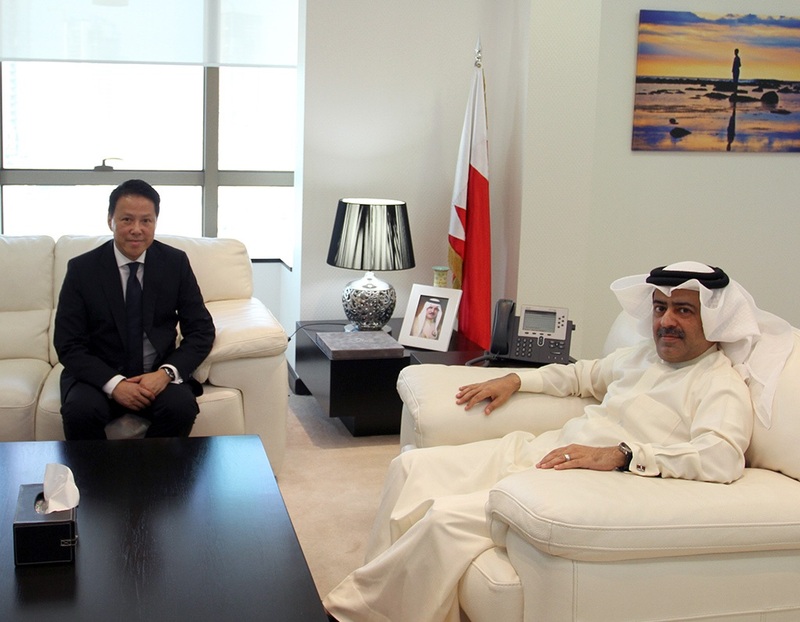 The ambassador cited the LMRA’s positive cooperation regarding Thai workers in Bahrain, praising Bahrain’s advanced labour regulations that are compatible with international standards and that ensure the rights of all workers as well as their employers. This entry was posted in Pressroom and tagged Ausamah alabsi, employer, photo, Thai ambassador, Thai workers by Labour Market Regulatory Authority. Bookmark the permalink.